The days of long shadows. The last few days have been lovely here. 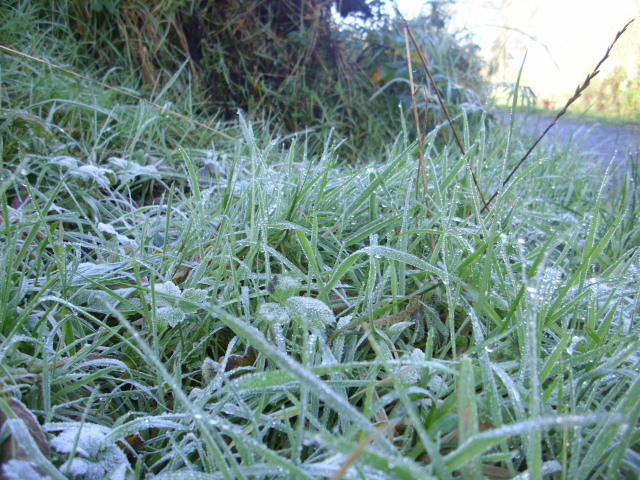 Frosty mornings followed by bright sunny days. 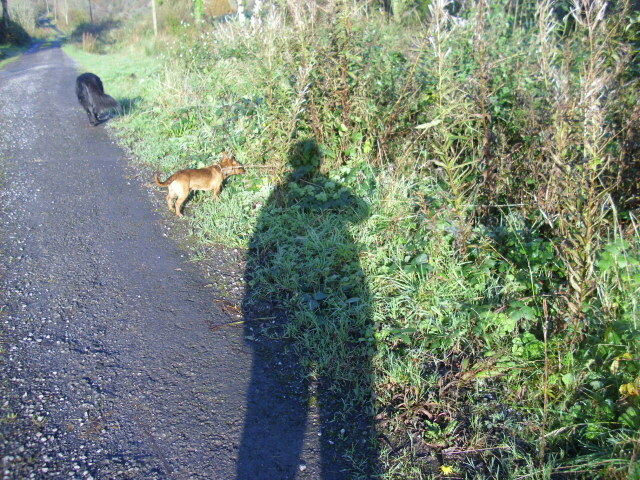 The sun is low in the sky making for long shadows. Driving into the sun at this time is a pain as the low lying sun does’nt get blocked out by the sun visor…a small price to pay for these lovely days. The nights are long now…darkness falling by 5.30. Waking this morning I was expecting another sunny morning but alas there was no frost so the day was cloudy and dull. 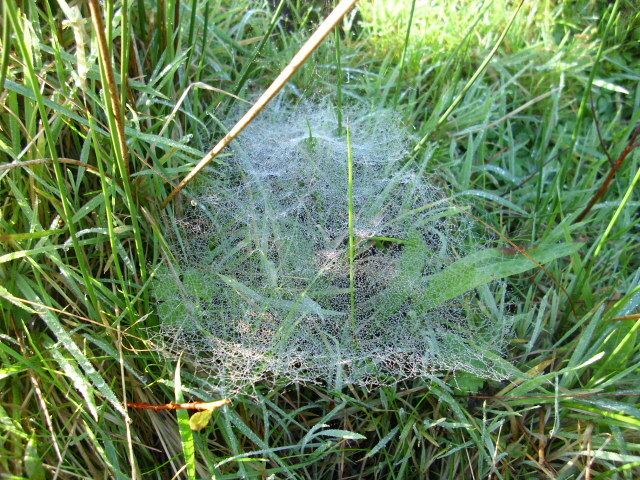 and gossamer cobwebs to be admired. 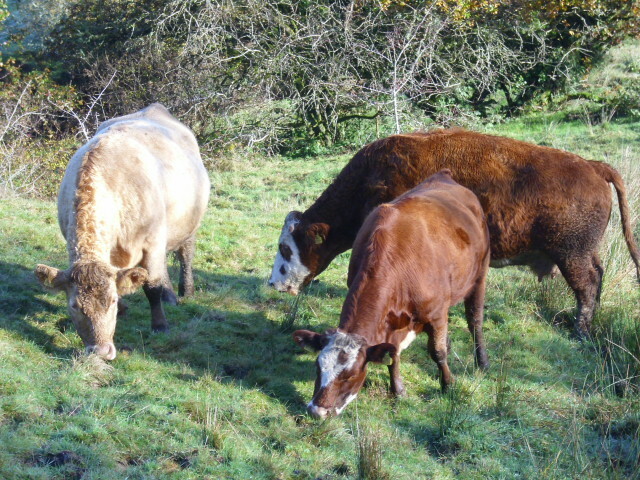 The neighbours Cows still have lots of grass to eat in the fields. The mild wet weather we had through September and October ensured continuous growth. 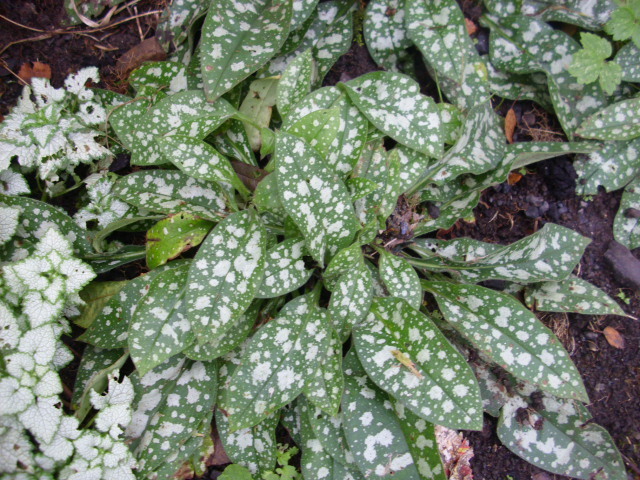 and Pulmonaria ensure there is still some colour. 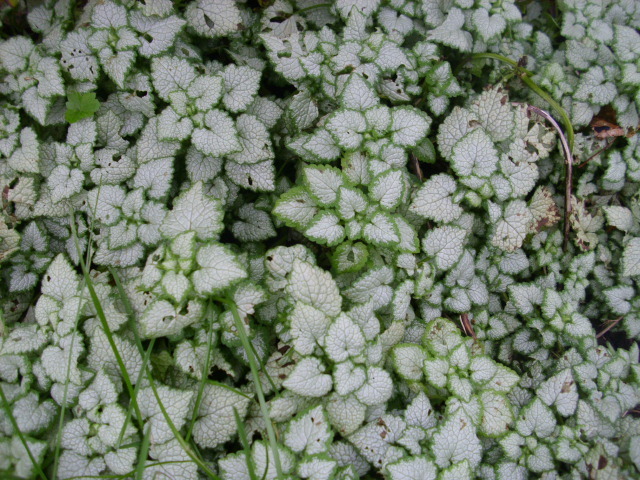 If the weather stays mild it will be an opportunity to make more plants by dividing these stalwarts of the garden. 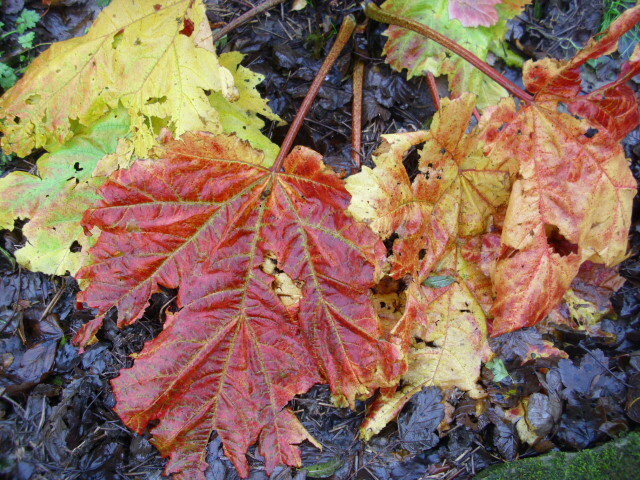 Rheum palmatum gives a last splash of colour before retreating underground until next Spring. Here’s hoping for more frosty nights and long shadow days.